Betclic has been around for over ten years. You may have known them previously as Betclick, but they decided to kick the ‘k’ into touch, and we quite like the results! The casino is a one-stop shop for any gambling fan. They have not only a vast choice of slots but also a well-stocked roster of casino games, downloadable poker software, a sportsbook and a live casino. What more could a player need? Microgaming, NetEnt, Yggdrasil Gaming, Quickspin, Genesis Gaming, Thunderkick and Evolution Gaming provide the software so already you know you are in for a quality gambling session! Despite a large amount of content, the designers have done an excellent job of creating a slick and user-friendly casino. The site works well on any device and once registered you can log in on your desktop, laptop, mobile or tablet. The casino is supported by a strong customer support service which can be accessed 24/7 via live chat and email. Players can also enjoy a wealth of promotions including cash back and free spins bonuses. 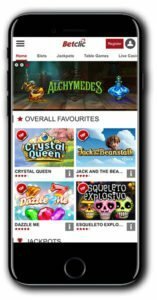 Just for playing certain games you can get a 5% bonus back plus there is 10% on your favourite games or how about getting a $10 bonus for top NetEnt slot Gonzo’s Quest? Just play 50 rounds on the game on a Monday, and the bonus is yours! Now that will really beat the Monday blues! 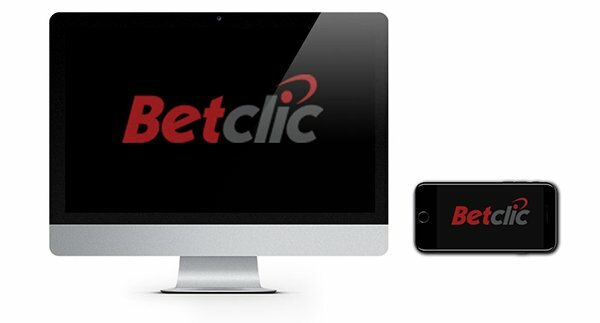 We mentioned that Betclic has got a broad range of gambling products including a downloadable poker client and sports book but for the purposes of this review we have honed in on their casino games and live games to give you a flavour of what to expect. The casino games collection features over 400 titles, and everything is perfectly organised to make your life easier. They have filtered and categorised every which way so whether you are looking for Jackpots, Arcade Games or Top Table Games, you’ll be able to locate them quickly. For the slot fans out there here is just a snapshot of the types of games you can expect to find at Betclic: Starburst, Gonzo’s Quest, Shangri-La Cluster Pays, Crystal Queen, Guns ‘N Roses, Riviera Riches, Thunderstruck and Immortal Romance. That’s just the start though as you’ll also have access to some of the biggest jackpots around including Mega Fortune, Mega Moolah and Arabian Nights. Fancy something a little more traditional? Betclic has got your back with their impressive collection of table games. 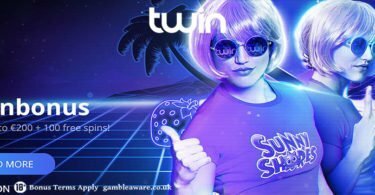 Enjoy over 40 classic games including multiple versions of roulette, blackjack and baccarat plus heaps of great video pokers including Joker Wild, Jacks or Better and All American Poker. Players can also head to the live casino for a real casino buzz. Go head to head with real-life dealers and other players in a game of Live Casino Hold’em or Three Card Poker. There are nearly 50 live games with varying table limits so you can always find one to suit your budget. New players can enjoy this double money bonus when they sign up to Betclic Casino and make a qualifying deposit. Simply register your new account by filling out the quick form and deposit from $20 to qualify. Betclic will then match your deposit 100% up to $200! So to pick up your Betclic bonus super quick, just click here NOW! IMPORTANT NOTICE – Make sure you are aware of gambling regulations in your country of residence and ensure you are not playing from a restricted country before you register at Betclic Casino. 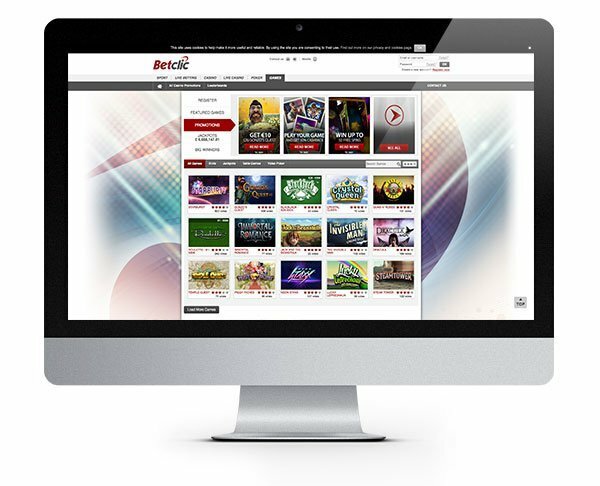 At Betclic you are always just one click away from fantastic gaming! Enjoy a spin today with this double money bonus!